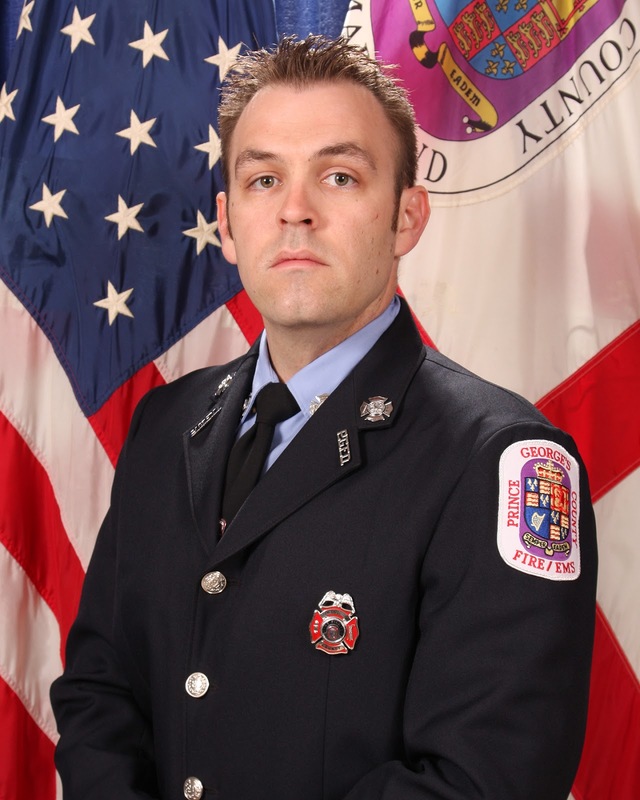 Two weeks to the minute a moment of silence was held during a Candlelight Service for Fire Fighter/Medic Lieutenant John "Skillet" Ulmschneider. Two weeks ago at 7:51 pm is when a radio transmission was made calling for help and that shots were fired. The Candlelight Service was conducted at the Firefighter Memorial located at the Cranford-Graves Fire Services Buildig in Landover Hills. The name of John E. Ulmschneider was etched into the memorial earlier Friday and unveiled for the family at the conclusion of the service. Media coverage of Candlelight Services for Fire Fighter/Medic Lieutenant John "Skillet" Ulmschneider held at the Cranford-Graves Fire Services Building in Landover Hills on April 29, 2016. 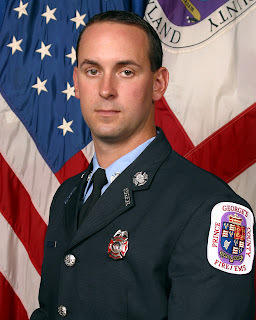 The Prince George's County Firefighter Memorial is located here. Click here for WTOP Radio coverage. 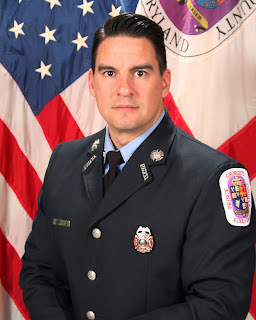 On Friday afternoon, April 29, at around 12:15 pm, Prince George’s County Firefighters and Medics responded to a 911 call reporting smoke coming from an Oxon Hill home. Fire/EMS units arrived at a 2-story brick duplex in the 5200 block of Leverett Street and found smoke showing from the structure. Firefighters entered the home and extinguished a fire in the living room area on the first floor. A resident was found in the immediate area of the fire. Firefighters removed the occupant and medics initiated treatment. The adult male was found to be suffering from 3rd degree burns over the majority of his body. The patient was transported in critical condition by medics to the Burn Unit at Medstar Washington Hospital Center. Despite the very best efforts by everyone involved the man succumbed to his injuries late on Friday evening. Fire Investigators were called to the scene and continue to investigate the cause of the fire, however, the cause appears to be accidental. Fire loss to the home is estimated at $20,000. The home was equipped with working smoke alarms. The deceased has been identified as a resident of the Leverett Street home, 68-year-old, Bernie Hayes. 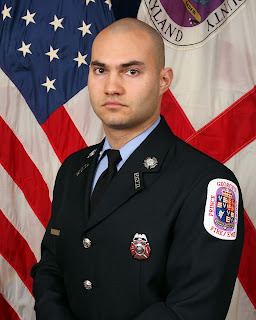 Prince George’s County Firefighters and medics will be returning the Leverett Road neighborhood this morning at around 10:00 am. They will go door-to-door asking residents about the status of their smoke alarms. Firefighters will test the alarms to ensure they are working. If an alarm is found not working a new 10-year smoke alarm will be installed at no cost to the occupant. Any resident of a home in Prince George’s County can have a new 10-year smoke alarm installed in their home. If you can not afford to purchase and install your own smoke alarm, call 311 and a firefighter will come to your home and install one for you at no cost. The following members of the Fire/EMS Department were recognized during an awards ceremony in Greenbelt, Maryland. Their heroic and award worthy actions occurred on incidents occurring in 2015. The awards ceremony was held at Martins Crosswinds in Greenbelt, Maryland, on Wednesday, April 27, 2016. Images from the ceremony captured by Matt E. Fisher can be viewed by clicking here. In the early morning hours of Wednesday, May 13, 2015, units from the Prince George’s County Fire/EMS Department responded to the 5100 block of North Englewood Street in Fairmount Heights, for a house fire with children trapped. On arrival, crews were met by fire and heavy smoke showing from the 1-½ story, single-family home. Bystanders were standing in the front yard pointing at the house to indicate there were people still inside. Lieutenant Bolen exited the engine, approached a female in the yard, and asked where the children were. The woman advised him that they were on the first floor, in the first room to the right of the front door. As the lineman was getting his line in place, Bolen heard coughing and faint crying coming from inside the home. With the conditions worsening, he informed his lineman, who was still waiting for his hose line to be charged with water, that he was going in to find the kids. He then told the lineman that he should go left to control the fire and that he was going right. Bolen, without the protection of a charged hoseline, entered a smoke and heat filled environment and followed the sounds of coughing and crying children. As soon as Bolen opened a bedroom door he saw a young child on his knees and with his arms extended upward. He grabbed the little boy and brought him to the porch. He handed the child off to other personnel and reentered the home. Again, following the sound of coughing and cries for help, Lieutenant Bolen quickly located a second child. He carried the young girl out and also handed her to other personnel. Assured that all members of the household were accounted for, he regrouped with his other firefighters in the kitchen to assist them in extinguishing the fire. FIRE FIGHTER/MEDIC CHRISTOPHER D. SMART, JR.
A Monday morning house fire in Owings, Maryland left a home destroyed and its sole occupant critically injured. The woman, who was alone in the home at the time, was rescued from the burning structure by Retired Major Breen. 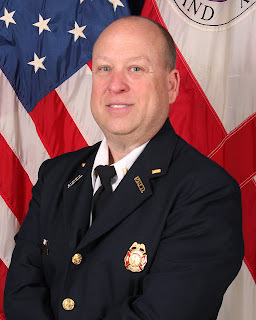 Major Breen was driving to his home nearby when he observed heavy smoke coming from the two-story, wood-framed single-family home on Lake Shore Drive. Upon exiting his vehicle to further investigate the smoke, a bystander told him he believed someone was in the residence. Breen walked up on the porch, where he looked and listened to determine if someone might be trapped. When he thought he heard noises coming from inside, he decided to force entry through the front door. He entered the home without the protection of personal protective equipment or a charged hoseline, encountering high heat and smoke. He soon saw a foot but had to exit briefly to get fresh air. 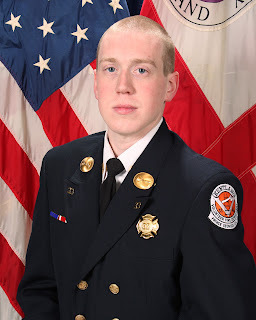 Breen could see and hear firefighters approaching the area, but he knew time was of the essence if the victim was going to have a chance for survival. He then reentered the dwelling, grabbed the victim by the ankles and removed her onto the front porch. Fire Fighter/Medic Smart, who was off duty and also passing by, arrived as Breen was removing the unconscious occupant. Smart quickly assessed the victim and determined she was not breathing and did not have a pulse. He initiated cardio-pulmonary resuscitation and assisted in life-saving efforts. 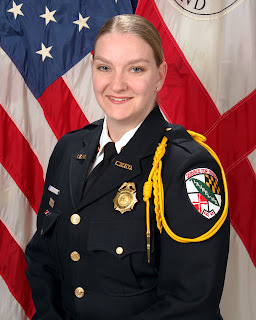 The woman was subsequently flown to MedStar Washington Hospital Center, where, despite having successfully regained a pulse in the field and the very best efforts of first responders and hospital staff, she tragically succumbed to her injuries some time later. The quick and prompt response of both Breen and Smart were the impetus for getting her revived and to the hospital and providing her with the best chance of survival. On Sunday, July 12, 2015, several Prince George’s County Fire/EMS Department units were dispatched for a townhouse fire in Howard County. After arriving, firefighters from the Calverton Fire/EMS Department had extinguished the bulk of the fire on the first floor and were advancing to the second floor due to vertical extension. Chief Hull ascended the stairs to the second floor in advance of the other firefighters and closed a bedroom door to prevent the extension of fire into the second floor hallway. The captain from Calverton had also moved ahead of his crew to assess conditions on the second floor. He was making his way up the steps when a section of burned out stairway gave way, causing him to fall through. The captain was tightly wedged in the hole and could not reach his radio to call for a mayday. He began to yell for help. Chief Hull heard the muffled calls and quickly located the trapped firefighter. He grabbed hold of the captain’s self-contained breathing apparatus harness and pulled him to safety. This was a tremendous challenge, as the captain’s body weight combined with that of his gear and breathing apparatus was nearly 300 pounds. The captain, who sustained serious burn injuries to his hands as the result of holding on to hot handrails, was transported to a burn unit. Following release from the hospital, he was off duty for several weeks. 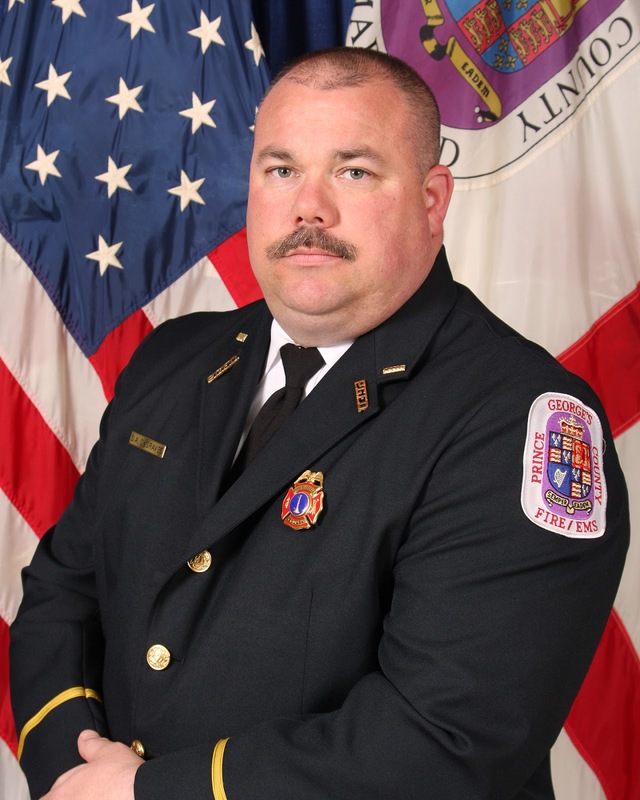 If not for Chief Hull’s quick thinking and immediate actions, the captain may have fallen completely through the stairs and sustained more serious injuries. Just past midnight on Sunday, October 18, 2015, Lieutenant Evans and Sergeant Freeman were members of the crews on board units from the Kentland Volunteer Fire Department, Inc., which were dispatched to 10000 block of Campus Way South in Largo for a reported townhouse fire with entrapment. On arrival, crews encountered a 2-story townhouse with heavy fire showing from the second floor. The engine crew quickly advanced an attack line to the second floor and began knocking down the fire. Hearing sounds that possibly could have been coming from a victim, Evans and Freeman began aggressively searching a second floor bedroom. The search was extremely difficult, due to the configuration of the bedroom and the large amount of personal belongings gathered there. Nevertheless, Evans and Freeman persevered and were able to locate the unconscious victim. Despite heavy smoke and intense heat, Freeman removed his face piece and placed it over the face of the victim, thereby providing fresh breathing air. Evans and Freeman removed the victim from the home, and, once outside, transferred her into the care of awaiting EMS personnel who transported her to the nearest hospital. It was later learned that the patient’s nose hairs were singed and there was soot in her mouth. Had it not been for the quick thinking and immediate response of these two firefighters, the outcome of this emergency might have been far more tragic. 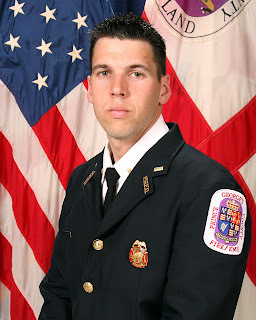 FIRE FIGHTER/MEDIC LIEUTENANT ROBERT C. KIGHT, JR.
FIRE FIGHTER JOHN A. PRINCIOTTA, JR.
Friday, May 1, 2015, just before 6:00 P.M., firefighters, paramedics and police officers were dispatched to the 6200 block of Central Avenue in Seat Pleasant for a critically injured child. At the time of the incident, 7-year-old Dah’Mari Jenkins and another 8-year-old family member were in the care of their grandmother. A Good Samaritan call was made to 911, after the caller noticed some commotion in the back of seat of a nearby car. The 911 call-taker obtained location information and immediately dispatched first responders, while remaining on the line and providing pre-arrival instructions to help control the bleeding. Two Seat Pleasant police officers were the first to arrive on the scene and initiated care to the victim. An engine and ambulance carrying firefighters and paramedics from Capitol Heights Fire/EMS Station 805 arrived just seconds later. Dah'Mari had sustained an accidental lacerating wound to his right leg from the sharpest of sharp instrument, a surgeon’s scalpel. It is believed the scalpel, discovered by the children playing in the backseat, had been left in the car after it was stolen earlier in the year. The wound severed the Dah’Mari’s femoral artery, generating an almost total “bleed-out”. 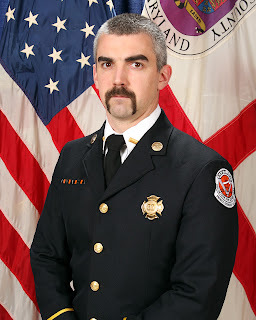 Fire/EMS Department responders performed a rapid assessment that showed the unconscious patient with agonal breathing as having nearly total blood loss and suffering hemorrhagic shock. Dah'Mari was immediately treated, loaded and transported to Children’s National Medical Center (CNMC) in Washington, DC. 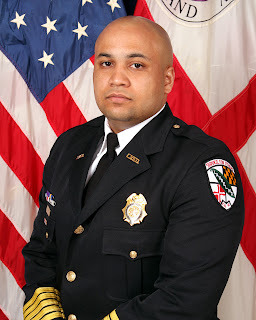 Seat Pleasant police officers facilitated transport of family members and escorted the ambulance to the hospital, thereby saving several valuable minutes. Everyone knew time was of the essence to get the child to a hospital. During transport, Fire Fighter/Medic Stream utilized both of his hands to apply direct pressure to the area of the wound and a developing hematoma beneath the skin and just above the laceration area. The paramedic unit from Chapel Oaks Fire/EMS Station 838 rendezvoused with the Capitol Heights ambulance on Addison Road, with Fire Fighter/Medic Aldaco jumping on-board. Aldaco was successful in obtaining 2 IV’s to provide fluid into the patient. 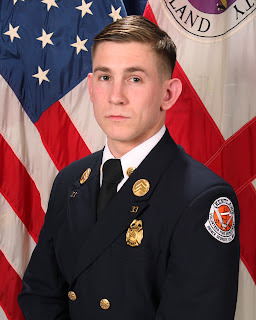 Fire Fighter/Medic Lieutenant Kight administered oxygen and made two attempts to intubate but was not able to complete the procedure, as the patient resisted the device. The Emergency Department staff at CNMC was alerted to the incoming trauma patient and standing-by for his arrival. They immediately started to stabilize the child with blood transfusions, intubation and a quick trip to the Operating Room for the femoral repair. It is nothing short of a miracle that Dah’Mari not only survived but was able to be discharged two days later. On the following Thursday, he celebrated his 8th birthday with those who just six days prior worked feverishly to save his life. Furthermore, let it be known that because of his great judgment and ingenuity used to save the life of Dah’Mari Jenkins, Fire Chief Marc S. Bashoor takes great pride in naming Fire Fighter David R. Stream as the 2015 Prince George’s County Fire/EMS Department’s EMS Provider of the Year. 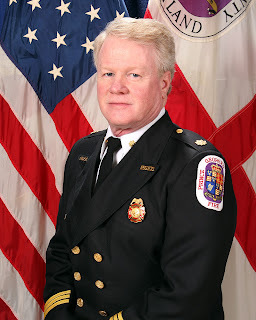 RETIRED FIRE FIGHTER LIEUTENANT KENNETH D. WARD, JR.
On the morning of Sunday, April 19, 2015, units form the Prince George’s County Fire/EMS Department were dispatched of a reported house fire. With less than a five-minute response, first arriving units encountered smoke showing from a 2-story, split foyer home. The 911 caller was a 13-year-old occupant of the home, who was awakened by his dog barking. The teen attempted to go check on the dog but smoke prevented him from leaving his bedroom. He immediately called 911 from his cell phone and provided specific information about where he and his sister were located. Reports of people trapped were relayed to the other responding units, and a fire attack and search was quickly initiated. The children’s mother was outside and able to point out their location to firefighters. Lieutenant Ward immediately climbed the ladder, broke the window, and entered the bedroom. He located the children and passed them out the window to waiting firefighters. Both children were assisted to safety and placed in the care of EMS personnel for transport. Following a short hospital short stay, they were released to home and expected to recover fully. In the early morning hours of Thursday, August 27, 2015, units from the Prince George’s County Fire/EMS Department responded to the 4400 block of 68th Place in Landover Hills for an apartment building fire. Subsequent 911 callers reported there were people trapped. Firefighters arrived on to the scene to find a 3-story (front) and 4-story (rear) garden-style apartment building with fire showing from within the interior stairwell, with extension to the roof. The first arriving crew from Landover Hills Fire/EMS Station 830 advanced hose lines to begin extinguishing the fire and performing an interior search for trapped occupants. The only means of egress for a family of three living on the top floor was through the stairwell that was obstructed by fire and smoke, forcing them to retreat to the balcony to await rescue. 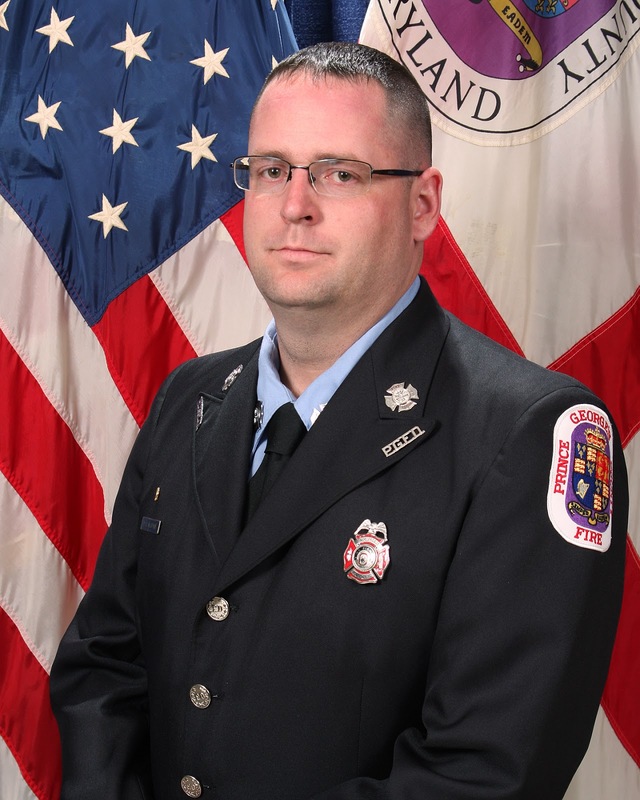 Other firefighters, including members of the Kentland Volunteer Fire Department, arrived and took a position at the rear of the 4-story building, where they observed the victims on their balcony that was immediately adjacent to the apartment of origin. The apparatus designed to carry ladders tall enough to reach the fourth floor balcony had not yet arrived, and the rear of the building could not be accessed by the ones that were on the scene. This forced firefighters to use a combination of two ladders to reach the victims. A 28’ ladder was used to reach the 3rd floor and a 14’ roof ladder was used hanging vertically from the 4th floor balcony. Lieutenant Jones, Sergeant McKay, and Fire Fighter Stapleton ascended the 14’ ladder “pompier” style to access the trapped occupants. Stapleton remained sheltered in place on the balcony with the family and provided his air mask for the three of them to use. Jones and McKay assisted the victims down the ladders and into the care of EMS personnel for evaluation. The performance of these firefighters on this incident, as well as the demonstration of ingenuity, is responsible for saving three lives. 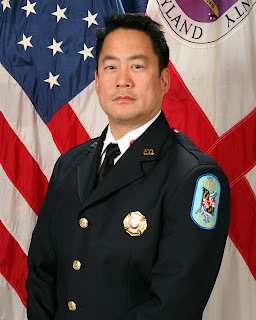 In the early morning hours of Sunday, August 30, 2015, Volunteer Lieutenant Yang, Volunteer Fire Fighter Davenport, and Volunteer EMT Rowe responded on board Ambulance 839 from the Bowie Volunteer Fire Department & Rescue Squad, Inc., for a working code in the 2900 block of Belair Drive. 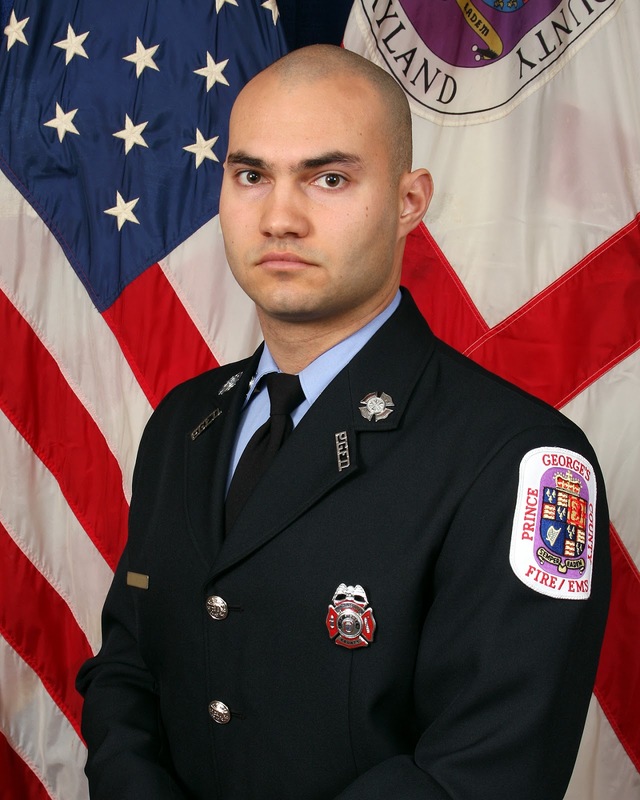 On arrival, the crew encountered the victim’s family members performing CPR. They quickly assumed patient care and applied an automatic external defibrillator but were unable to find a shockable rhythm. They continued with CPR until the arrival of a medic unit, and the patient was placed in the care of paramedics. After twenty-five minutes of nonstop CPR, a faint pulse was detected. The patient was transported to a nearby hospital and was successfully resuscitated by the emergency room staff. Ambulance 839 was placed out-of-service and returning to the station to restock, when the crew heard a radio transmission for a motor vehicle crash with rollover and entrapment. 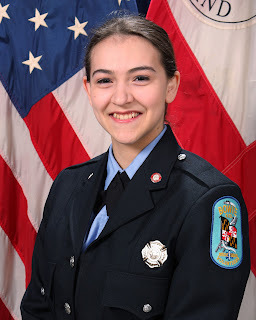 Immediately and without hesitation, Yang, Davenport, and Rowe responded to Laurel-Bowie Road and Lerner Lane, where they assisted in extricating, treating, and transporting the injured patient to a trauma center. 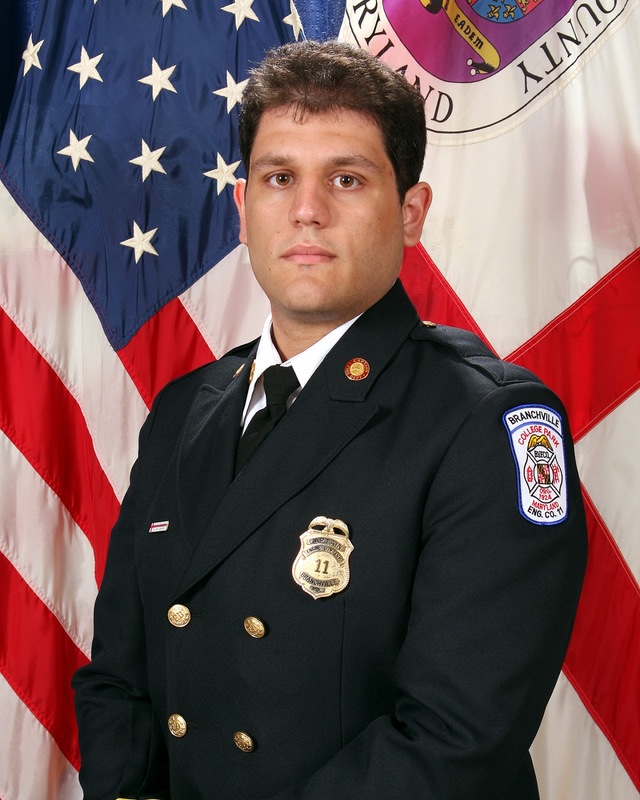 On the evening of Monday, January 5, 2015, Lieutenant DeGraves, Captain Dimakas, and Fire Fighter Leizear were off duty and traveling separately in the Greenbelt area near Baltimore-Washington Parkway, when they witnessed a motorcycle collide with the rear end of a tractor trailer. The three of them stopped to provide assistance and encountered a critically injured male in his early to mid-20s. The victim had sustained serious trauma to both legs after being thrown from his motorcycle and subsequently run over by the tractor trailer. Due to his extensive injuries and priority status, Public Safety Communications was alerted that a helicopter would be needed for transport. In anticipation of the patient losing consciousness, efforts were made to obtain his personal information. Operating as a team, DeGraves, Dimakas, and Leizear worked intensely to control both the bleeding from his partially amputated left leg and degloving of the portion that was still attached. C-spine precautions were maintained in consideration of the multiple closed and open fractures to his right leg and overall severity of his wounds. A full patient assessment revealed a partially detached ankle along with multiple deformities, various open fractures, and evidence of a lower spinal injury. The patient’s condition started to rapidly deteriorate, and the initially requested helicopter was cancelled. He was instead transported by the first arriving EMS unit, with paramedics having received a full medical report and his personal information. It was later learned that the man was expected to survive. Sadly, his left leg was too severely damaged and could not be saved. 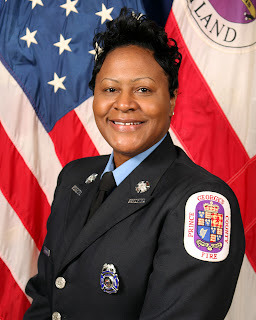 On the afternoon of Saturday, December 12, 2015, Fire Fighter/Medics Latonya C. Hackley and Timothy C. Vanderhoff were on board the Paramedic Unit from Fort Washington Fire/EMS Station 847, which was dispatched for an individual involved in a motor vehicle accident on Indian Head Highway. Hackley and Vanderhoff were en route to the scene when Public Safety Communications reported that an occupant of one of the vehicles was in cardiac arrest. On arrival, it was apparent this was a medical code and not trauma from the accident. Bystanders and a County police officer had started CPR; and upon the arrival of firefighters, an Automatic External Defibrillator (AE) was applied and delivered a shock. Hackley and Vanderhoff ensured CPR was continued and quickly initiated advanced life support measures, including using the LifePack 15 to administer another shock. The patient’s heart changed to a survivable rhythm, and he began breathing on his own. He was soon answering questions and subsequently transported to Southern Maryland Hospital. It was later learned that the patient, a physician from Fort Washington Hospital, was discharged to home and is making a full recovery. A “save” is always the ultimate goal of the Fire/EMS Department. Unfortunately, in too many instances the outcome is tragic. However, the cohesive efforts of Hackley and Vanderhoff and the rapid prehospital care they provided in the aforementioned case saved the victim’s life. 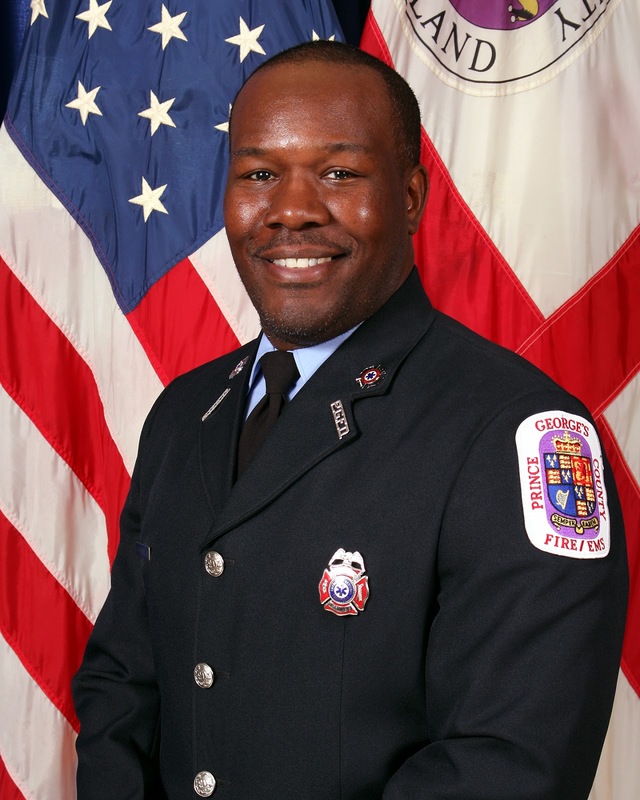 FIRE FIGHTER/MEDIC JAMES A. HARRIS, JR.
On the afternoon of Sunday, November 8, 2015, units from Chillum Fire/EMS Station 844 were dispatched for a motor vehicle crash, reportedly with vehicle and persons trapped. Upon arrival crews encountered a two-vehicle collision with one vehicle fully involved in fire. The second vehicle was a 16-passenger van that had direct flame impingement with multiple occupants trapped. In addition to the dire need to rescue the five occupants pinned inside the van, there were eleven victims on the ground, many of them critically injured. Fire Fighter Gregor and Fire Fighter Harris, who was the Engine driver and without the protection of his PPE, quickly pulled a 1.75 inch attack line and began extinguishing the vehicle that was on fire. Once the truck had been extinguished, the pinned driver of the van began screaming that he was on fire. Without hesitation, Harris deployed the line to the driver’s side of the van and cooled it to relieve heat from its body. He held this position until the driver was extricated. 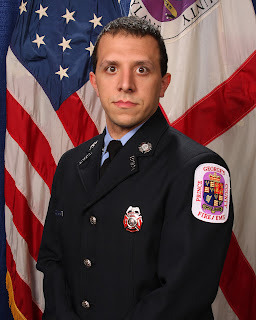 Immediately after extinguishing the burning vehicle, Fire Fighter/Medic Gegor removed his PPE, retrieved ALS equipment from the EMS unit, and began sorting through the victims on the ground as additional units were starting to arrive. He located the most critical patient, a pediatric pre-code, and he loaded her into an ambulance unit and within ten minutes transported her to Children’s National Medical Center. His actions directly contributed to the child’s survival. 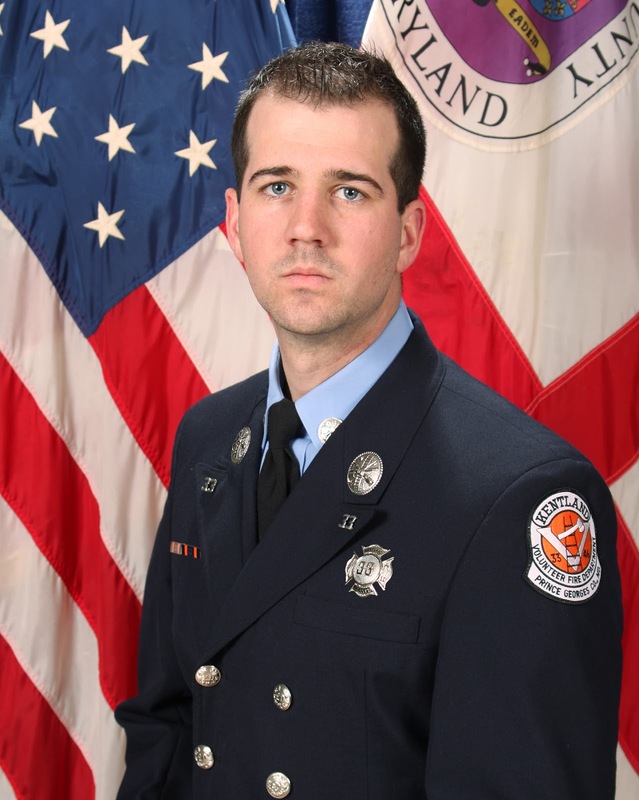 Fire Fighter Harris had begun triaging the 16 passengers from the van, while directing incoming units to those most critical. He also stopped to provide comfort and aid the many pediatric patients who were on the ground, using simple words of reassurance that calmed the children. Harris continued to work wherever needed until he was directed to stop and sit down and was relieved by Fire Fighter/Medic Lieutenant Hayter. 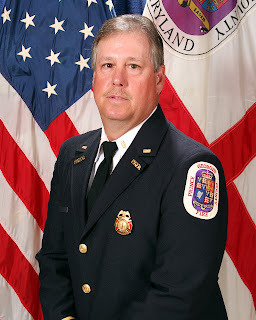 Lieutenant Hayter acted as the initial Incident Commander, while leading his crew in the extinguishment of active fire, providing ALS to multiple patients, and calling for additional assistance. Despite the tremendously chaotic scene, with patients in extreme peril and dangerous conditions, Hayter remained calm as he and his crew, without concern for their personal welfare, took all necessary actions to save the lives of the victims. 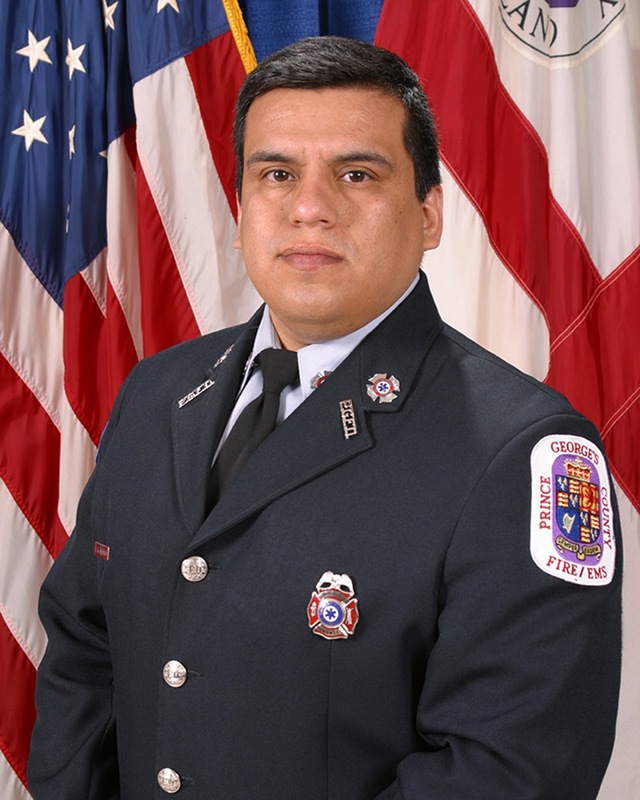 In the early morning hours on September 4, 2015, members of Prince George’s County Public Safety worked together to rescue a man from a burning vehicle. 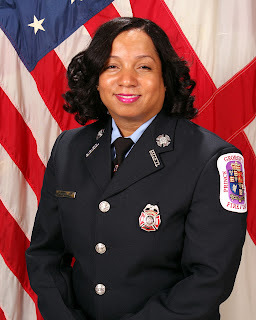 Police Officer Alba De Jesus was dispatched to the 2000 block of Lakewood Street in Suitland for the re-port of a car accident. Shortly thereafter, Public Safety Communications advised him that there were now re-ports that one of the vehicles involved in the accident had caught on fire. As a result, Police Officer First Class Burch, Police Officer Morris and Police Officer Clayton also responded to assist. Officers Alba De Jesus and Burch arrived on the scene first and found a vehicle that had struck another parked vehicle and subsequently became fully engulfed in flames. They quickly realized that the driver was unresponsive and trapped inside of the burning vehicle. At this point, both Officers Morris and Clayton had arrived on the scene and ran up to the vehicle with their fire extinguishers. They deployed their fire extinguishers in an effort to extinguish the flames. The fire was too intense and the extinguisher had no effect. Officer Alba De Jesus then broke out a rear window and began to yell at the driver in an effort to get him to open his door. The driver began to gain conscious-ness but he was incoherent and unable to open his door. The vehicle’s tires were exploding and the engine block crackling from the intense heat. Subsequently, Volunteer Fire Fighter Collins of Morningside Volunteer Fire Department, Rescue Squad 27 arrived on the scene with his protective gear. Officer Clayton moved in close to the vehicle, with Officer Burch behind him, and utilized his ASP baton to manipulate the driver’s side door handle and open the door. Officers Clayton and Burch reached in together and started to pull the driver out of the vehicle. Fire Fighter Collins assisted Officers Clayton and Burch in pulling the driver out of the vehicle onto the roadway. The driver’s hair and clothing had caught on fire and the driver was still too close to the intense heat caused by the vehicle fire. Officers Alba De Jesus and Morris then reached in and assisted the other three in pulling the driver further away from the vehicle. Together they immediately started patting the driver in an effort to extinguish the flames on his clothing. The driver was immediately transported from the scene to MEDSTAR, suffering from substantial skin burns and internal injuries. Throughout this incident, the officers and firefighter willingly risked their lives to save that of their fellow man. As a result of their heroic efforts, the driver survived this ordeal.